It sounds SO corny, but this morning I put on my headphones and played the song after my class. There were many great things that happened this morning, but I kept focusing on the one thing that was made me most irritated and annoyed. 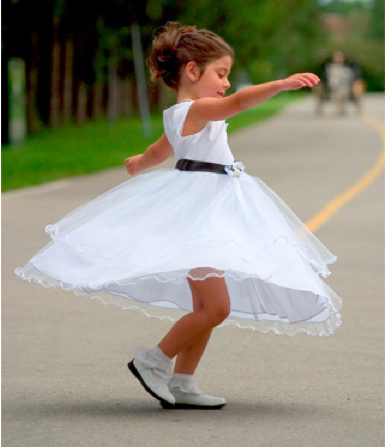 I’m doing a mental twirling, if you will (nothing makes me happier than a good twirl. You can’t possibly be angry while twirling.) Instead of seeing the one person in the room who’s cranky I’m choosing to see ALL the others filling the room with a smile. Today I’m choosing to see all the good things I love about my body instead of the one (or few) things that I’m frustrated with. The last thing I’m choosing to see today is all the good stuff I have instead of seeing the things that I covet. I know (or should I see the belief I hold) that what I focus on is what I get. So with this theory, if I focus on the happy people, I’ll get more happy people surrounding me. If I see all the good stuff about my bod I’ll get more tight bits and seeing all my good stuff will help me to get so much MORE! What do you think? Are you in? Let’s just call me crazy. Even if I’m wrong and what you think and feel has no effect on what comes you have to admit that you’ll feel better in the moment. So, let’s give it a shot today. Focus on all that’s good around you and welcome so much more in. Sending you love and abundance today! This entry was posted in FIERCE FUN, FIERCE SOUL, FIERCE- ISH and tagged balance, committment, fun, gratitude, mental health, motivation, Positive, self improvement, wellness by GETFIERCE TRAINING. Bookmark the permalink.